Although no release date his been set, it seems that the movie is well on its way to completion, with Mike Epps apparently on board. He is currently 49-years-old and decades removed from his N.W.A. heyday, but he's got his hands in more things that most of the younger generation could ever dream of. After the release of the Straight Outta Compton movie a few years ago, it seems that he's been re-inspired: he started a proper 3-on-3 basketball league (long overdue), released a new album called Everythang's Corrupt and now, is deep in the writing and casting process to an upcoming sequel to his 1995 classic, Friday, with Chris Tucker (where is he now?) 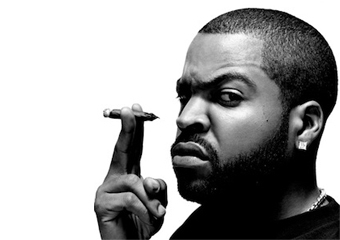 Ice Cube said he's currently “writing" but also that he's got some more concrete ideas about who will act in it: “to me, we got great actors in the movie, you know? Some comedians, some just great actors. So the movie’s gonna have the right chemistry — that to me is not anything to worry about. It’s more about do they have the material that they can take and turn into magic. It’s on me to put that in their hands."